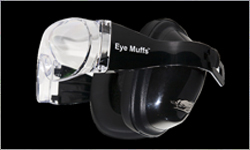 Online livestock has been able to obtain the online distribution of the Eye Muffs just in time for Father’s day. Eye muffs and ear cushions in a functional one-size-fits-all product, designed to industry standards and made with lightweight non-slip materials. The heavy-duty product is easily adjustable and is designed for hard hat compatibility. Eye Muffs quick-release safety lenses are impact resistant to AS/NZS 1337 and complies with AS/NZS standards. Replaceable lens are available in 3 shades (clear, amber and smoke tint) with UV protection and can be worn over prescription spectacles. With superior noise reduction foam liners and formulated ear cushions, the Eye Muffs have a decibel rating class 5 tested to AS/NZS 1270 and maintained to AS/NZS 1269. The ear muffs can be used in noise up to 110dB. The Eye Muffs have a Class 5 rating that suits all industries. They are currently being used in the mining, construction and airlines industries. 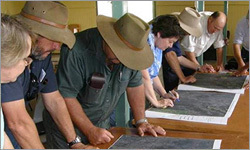 Started in 1952, the ANFD is Australia's oldest annual agricultural exhibition where visitors will see a vast range of agricultural machinery, implements, services and ideas. 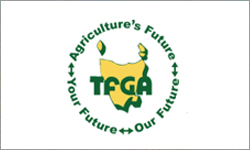 Each year over 600 exhibitors from throughout Australia and overseas display there products and services at our event. 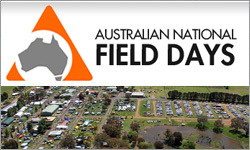 The ANFD is conducted by the Orange Field Days Co-op Ltd, a not for profit co-operative, whose charter is to Advance Australian Agriculture through exhibition, research, demonstration, competition and education. 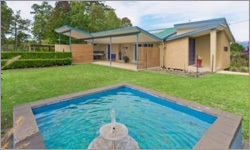 * 10 mins to Wauchope and much more! The Australian Banana Industry Wants The Federal Government To Ban The Import Of Ginger From Fiji. The Australian Banana Growers' Council has written to the Agriculture Minister, Barnaby Joyce, outlining its concerns. The chairman of the Import Committee, Patrick Leahy, says the Fijian strain of the burrowing nematode is more aggressive than the one present in Australia. 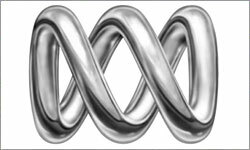 "It's quite concerning because they have a nematode in Fiji that is a different strain to the one we have here in Australia, it's much more virulent," he said. "It can do severe damage to banana roots and can cause toppling of bananas, so it's something we don't have and we don't want it. 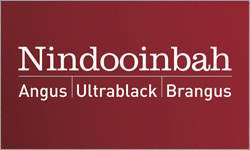 Nindooinbah will be holding its third Bull Sale on the 17th October 2014. 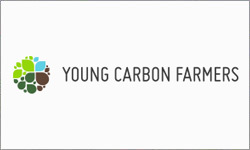 YCF is about educating young farmers to enable them to adapt to and be sustainable within an increasingly variable climate. It’s showing next-gen Australian agriculture professionals the latest information and cutting edge research into carbon farming. It’s about showing you real, practical ways that can reduce carbon emissions and improve sustainability and profitability through better land management Young Carbon Farmers is a national project created by rural communications specialists Sefton & Associates, with the Future Farmers Network, and supported by funding from the Australian Government. While wild dogs remain a scourge for sheep producers across Australia, results from Australian Wool Innovation's Community Wild Dog Control Initiative show progress is possible when protecting the national flock from wild dogs. Over the past 5 years, woolgrowers have invested over $7 million to tackle the wild dog threat, through their R&D and Marketing body, Australian Wool Innovation Limited (AWI). Adopting innovations and outcomes from research can help Australian producers meet challenges such as the climate and input costs. However, change is often not simple and there are often barriers which can limit an enterprise’s potential. 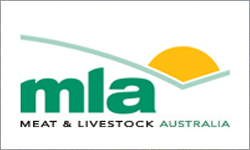 MLA R&D Communication and Extension Manager Dr Jane Weatherley said adoption, in the form of on-farm uptake of R&D innovations, tools and strategies, offered producers a pathway to overcome production, seasonal and market challenges to become more productive and profitable. 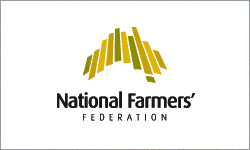 The National Farmers’ Federation (NFF) National Congress 2014 will be held at the Australian Institute of Sport Arena in Canberra on Monday 20 and Tuesday 21 October. The NFF Congress is the major biennial event for Australian agriculture: the opportunity for the agricultural sector to come together to cement our position nationally and globally and to ensure that we remain at the forefront of the latest developments and opportunities, from a grass roots level to a global level. 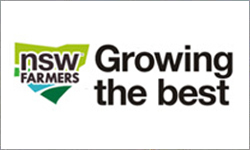 President of New South Wales’ peak farming group, Fiona Simson, is heading to the south west to meet with the farming community in Rankins Springs and Condobolin next week. 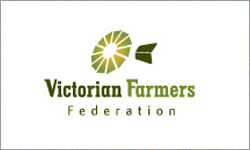 Ms Fiona Simson, a farmer from the Liverpool Plains, will be attending NSW Farmers’ functions in Rankin Springs on Tuesday 30 September and Condobolin on Wednesday 1 October. NSW Farmers’ member and Naradhan farmer Penny Haddrill said the Rankin Springs meeting is a great opportunity for farmers to meet the president and discuss grain industry issues and the future of NSW Farmers in the region. The Queensland Farmers’ Federation (QFF) says that new water reforms proposed by the State Government should deliver some notable benefits to Queensland irrigators. The Natural Resources Minister Andrew Cripps introduced the Water Reform and Other Legislation Amendment (WROLA) Bill to Parliament this week and the reform is running parallel with a review of the Water Act 2000. 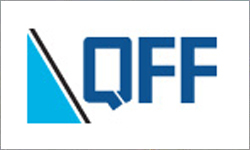 QFF CEO Dan Galligan said the QFF welcomed the focus on increasing farmers’ ability to trade water, which would help drive water toward its most efficient and productive use and would be welcome by farmers for the flexibility it could afford them. At our AGM on September 4, 2014, we said farewell and thank you to outgoing board member Nick Correll. Welcome to our two new board members, Ben Pope and Sam Venning. 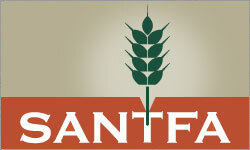 We also thank Brad Moyle, who is stepping down from his role as president of the SANTFA board, and welcome new president, Tom Robinson. 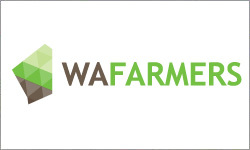 WAFarmers will launch its branded milk at a gala dinner on November 19. The Heart of WA Gala Dinner will be a celebration of the outstanding produce of Western Australia’s farmers, WAFarmers President Dale Park said. “This spectacular event is an opportunity for everyone to come together and experience the fresh produce which thousands of farmers work hard every day to put on our tables,” Mr Park said. The event will feature a range of exciting entertainment, including appearances from three celebrity chefs, as seen on MasterChef Australia, who will transform local produce into the evening’s main meal. Murrindindi Shire and High Country cattle producers are invited to attend a discussion evening on how to protect their herds from losses due to Pestivirus. Pestivirus can cause disruptions to reproductive performance through embryonic death, abortions or the birth of unviable calves as well as general ill-thrift in cattle. Symptoms can sometimes include diarrhoea, lethargy, weight loss, conjunctivitis or a cough. The disease is widespread in Australia, with approximately 90 per cent of herds having been affected at some point. Chairman of the Australian Competition and Consumer Commission, Rod Sims, spoke at the Australian Food and Grocery Council’s Industry Leaders Forum in Canberra recently. In his address, he said that the proposed grocery industry code of conduct that provides clear rights and legally enforceable norms of conduct would be of considerable assistance to food and grocery industry participants.